State Superintendent of Public Instruction Joy Hofmeister announces Jon Hazell as the 2017 Teacher of the Year. 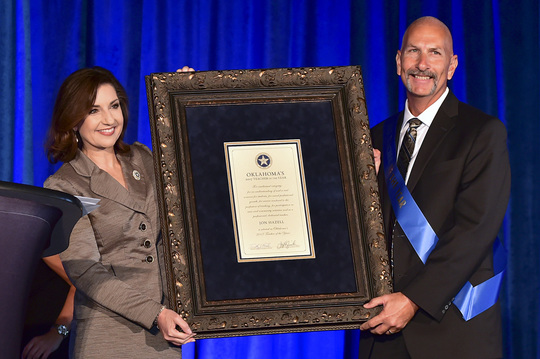 To see more Oklahoma Teacher of the Year photos, click here. If Oklahoma is to build and maintain the sort of education system our kids deserve and need, it is vital that we hear from those closest to the issue – our teachers. All stakeholders need to be engaged, of course, but it should go without saying that classroom teachers have an expertise and understanding that demands to be heard. As a result of the federal Every Student Succeeds Act (ESSA), Oklahoma and other states have renewed flexibility in determining how best to move forward on behalf of our students. The Oklahoma State Department of Education is soliciting feedback from an array of education stakeholders as we craft a consolidated state plan to provide opportunity for all students. Let your voice be heard in this important process. To take our ESSA survey, click here. To that end, beginning later this month I will be hosting several town hall meetings throughout the state to hear from Oklahomans from all walks of life. If you live or work near any of the town halls – the dates and locations are listed below – please join me. Another critical opportunity to make your voice heard comes Tuesday, Nov. 8, when Oklahomans join Americans nationwide in casting our vote for president of the United States. This year’s ballot will be a hefty one, including a host of state and local elected offices and seven state questions. While public education is but one of many issues certain to be shaped by the November elections, there is no disputing that they will have a big impact on the classroom. We all have a voice, and we all have a vote. Let’s model civic engagement and embrace both this fall! As part of our ongoing effort to collect feedback on how to improve public education, the Oklahoma State Department of Education will be holding town halls across the state. State Superintendent of Public Instruction Joy Hofmeister will lead the discussion at the education town halls held in seven cities: Duncan, Ada, Oklahoma City, Tulsa, Enid, Yukon and Muskogee. The first is scheduled in Duncan on Oct. 18. Topics scheduled to be discussed at the one-hour town halls include how Oklahoma schools should use assessments, how to improve low-performing schools and how to strengthen the state’s accountability system. 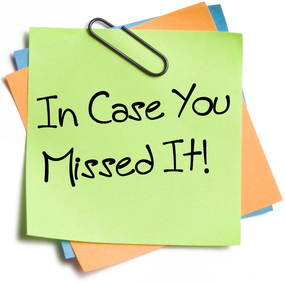 If you would like to receive periodic updates on OSDE’s efforts regarding ESSA, sign up to receive our ESSA newsletter. Do you remember when you first realized teaching was your calling? Was it a teacher who inspired you? OSDE has debuted a series of videos highlighting notable Oklahomans and the teaching profession. At a time when teacher shortages are acute statewide, our Shaped My Life campaign is a reminder of the ways educators change lives and leave a lasting legacy in the minds of their students. In Shaped My Life, some of our most distinguished fellow Oklahomans reflect on a teacher who made the greatest impact on their lives. Already, we have heard from OSU coach Mike Gundy, Miss Oklahoma Sarah Klein, meteorologist Gary England and Broadway star Kristin Chenoweth. To see all the Shaped My Life videos, click here. Use the #shapEDmylife hashtag on Facebook or Twitter to join the conversation about a teacher who shaped yours. November is Native American Heritage Month or, as it is commonly known, American Indian and Alaska Native Heritage Month. What a great opportunity to introduce your students to rich and diverse cultures, traditions, histories, important contributions of Native people and the ways tribal citizens have worked together to conquer unique challenges. 1. Visit OSDE’s Oklahoma Indian Education Resource site for free lesson plans and Oklahoma Indian education guides as they relate to the Oklahoma Academic Standards. Print out a free 39 Tribes Poster to hang in your classroom. Click here. 2. 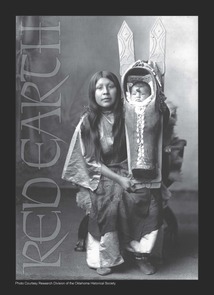 Download free copies of “Red Earth Cradleboards,” an e-book from the Red Earth Museum. Click here. 3. On your next field trip, discover attractions across the state, like the Spiro Mounds Archaeological Center, where you can explore American Indian history. Click here. 4. 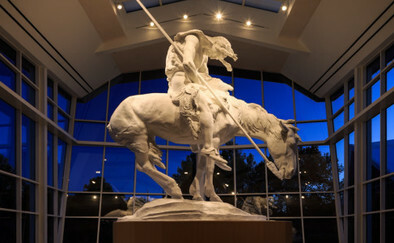 Find free lesson plans on the National Cowboy and Western Heritage Museum website to construct a timeline based on the sculpture “The End of the Trail.” While you’re there, register for a free teacher workshop to learn more about the iconic war bonnet of the American West. Click here. 5. Bring a museum into your classroom. Contact the Oklahoma History Center about their new traveling trunk on Native Americans in Oklahoma. Trunks contain lesson plans, hands-on activities and three-dimensional artifacts for the students to touch. Click here. 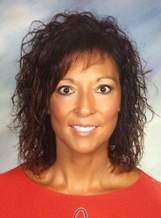 Oklahoma is proud of Tara Kauk, selected as the 2016 National Indian Education Association Teacher of the Year. The NIEA praised her as a testament to the strength of Native teachers and an excellent example of what can be accomplished when an educator has both humility and passion for her work. Tara will be recognized this week at the annual NIEA convention in Reno, Nevada. Tara is a kindergarten teacher at Frontier Public Schools in Red Rock and a member of the Otoe-Missouria Tribe. Apply Now to Decorate a Tree Inside the Capitol! Your students could be part of the Governor’s Christmas Tree Lighting Ceremony at the Oklahoma State Capitol on November 29. Twenty-six classrooms will be chosen to participate in this exciting event! Any first- through fifth-grade class is eligible. You will be notified by October 26 if your classroom is chosen to participate. Each class will decorate an artificial tree on display in the Capitol using the theme of its choice. In addition, there will be photos with Governor Mary Fallin and State Superintendent of Public Instruction Joy Hofmeister, visits from Santa Claus, treats for the students, storybook reading, musical entertainment and the Capitol Tree lighting itself! A digital footprint is a record of everything an individual does online, including the content they upload. Online, information can persist and migrate for years. It is extremely important for teachers to talk with students about what kind of digital footprint they are making online, both good and bad. If kids aren’t careful, their reputations can be harmed or their information used in ways they never intended. Make sure kids get parental permission before filling out forms. They should always keep their Social Security number, birth date, address and full name private. Help kids think long term. Encourage them to think before they post. Remind kids not to be keyboard bullies. Whatever negative things they say can and probably will come back to haunt them. Help kids see through advertising. The next time you are being targeted by ads specific to your interests, point it out to your kids. Someone (or some computer) is tracking every mouse click we make. To get free curriculum from Common Sense Media, click here. 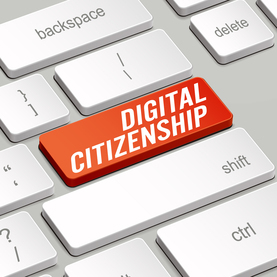 To find more digital citizenship teacher resources, click here. Oklahoma Foundation for Excellence founder and chairman David Boren joins Academic All-Staters on stage for the foundation’s 2016 Academic Awards Banquet. 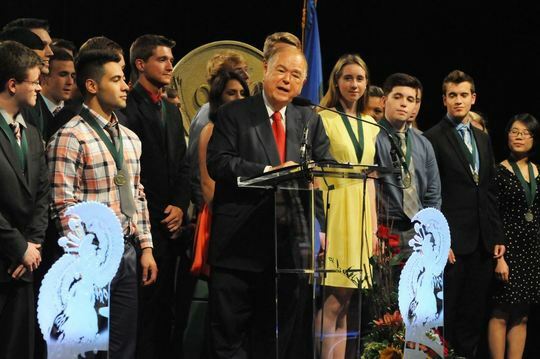 The Oklahoma Foundation for Excellence is seeking nominations for its prestigious Academic All-State awards honoring 100 top public high school seniors and Medal for Excellence Awards honoring five outstanding educators. Scholarships and educator awards totaling $125,000 will be presented at the foundation’s annual banquet in May. Each Academic All-State scholar will receive a $1,000 scholarship. The Medal of Excellence includes a $5,000 cash award and honors five public school educators, one each at the elementary, secondary, community college/regional university and research university levels. An elementary/secondary administrator also is honored. Educator nominations are due Nov. 29. Student nominations are due Dec. 2. For more information, click here. DIFFERENTIATED INSTRUCTION: The Oklahoma Association for Supervision and Curriculum Development (OASCD) is proud to present “Differentiated Instruction with Betty Hollas” on Nov. 15 in Edmond. Learn practical strategies to differentiate for student readiness, interests and learning profiles, as well as ways to manage the differentiated classroom. Conference registration is $125. For more information, click here. TECHNOLOGY INTEGRATION: Throughout the year, the Jeannine Rainbolt College of Education at the University of Oklahoma is offering free professional development seminars for current and preservice teachers and administrators. 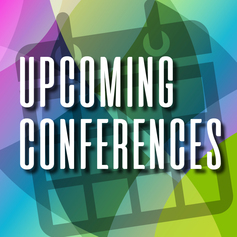 October workshops include “Create Commotion with Stop Motion,” “Assessment Meets Engagement: Kahoot, Socrative and More,” and “Building a Superstar PLN with Twitter.” To learn more about dates, times and topics, click here. Oklahoma City-area principals and assistant principals embarked on a 15-month training to acquire the skills and attitudes of turnaround school leaders. 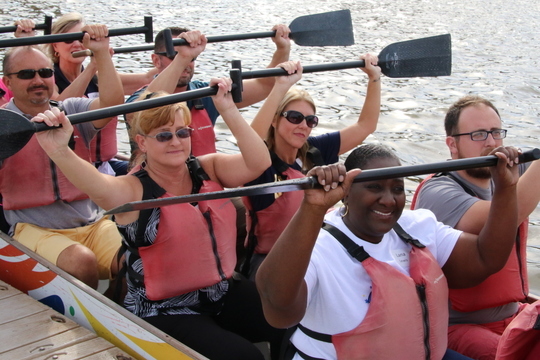 MOVING UP: Last month, nearly 50 new principals and assistant principals learned how to work together by racing dragon boats on the Oklahoma River. To watch the video from The Oklahoman, click here. BUDDY BENCHES: No one likes to feel left out, including students at recess. That’s why schools across the state are adding buddy benches to the playground. Thanks to the United Way and Leadership Greater Enid, 11 Enid elementary schools now have buddy benches, and the idea is catching on across the state, from Enid to Weatherford to Piedmont. To watch the video, click here. MAKER SPACES: “It’s better than recess. 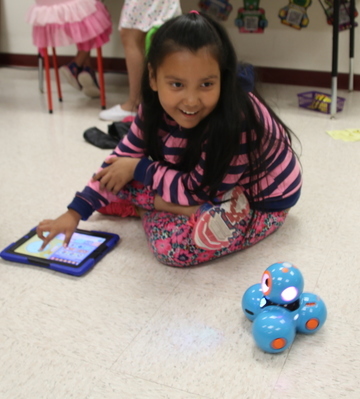 It’s better than lunch – even if it’s pizza.” Clinton first-grader Alexander Amaya is talking about his school’s maker space, a student-directed STEM lab where children are encouraged to build, tinker and explore. Find out why maker spaces are becoming so popular for kids and teachers. To read the story and watch the videos, click here. SURPRISE AWARD: Inside Wheeler Elementary in Oklahoma City, fifth-grade teacher Sunshine Sarrington is going above and beyond for her students. KFOR Channel 4 surprised her recently for “Paying It 4ward.” To see the video, click here.